Thurs. Feb. 21 was the official launch of a new PSU lecture series titled Transmit Culture: A Series of Conversations about Publishing. This is a project that I spearheaded in an attempt to give the publishing community, as well as Publishing Program students, an opportunity to network and share points of view about the future of publishing while hearing from publishing experts. 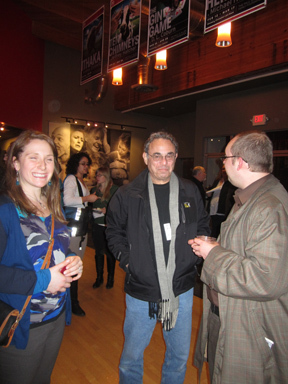 The launch featured a Q&A with Eli Horowitz and Paul Collins - both with ties to McSweeney's. 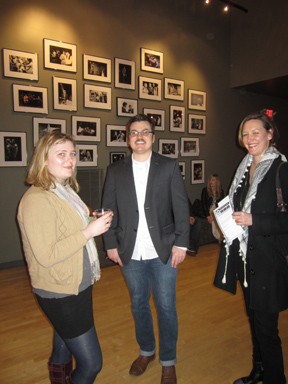 There were over 100 people celebrating the launch at Artist Repertory Theater. The series will continue later in the spring with a panel discussion featuring middle grade and YA publishing professionals.